There are many programs that fulfill the musical, educational and spiritual needs of the community. Cantor Helzner is devoted to continued learning and sharing of both traditional and contemporary Jewish music. She believes in the spiritual power of music and its ability to build community. Members of the congregation welcome the opportunity to expand their musical repertoire. Eine Kline Tikva is our synagogue klezmer band. The instrumentalists play for many occasions at the shul such as the Thanksgiving Sing, Chanukah, Yom Hoasha, Yom Haatsmaut and others. 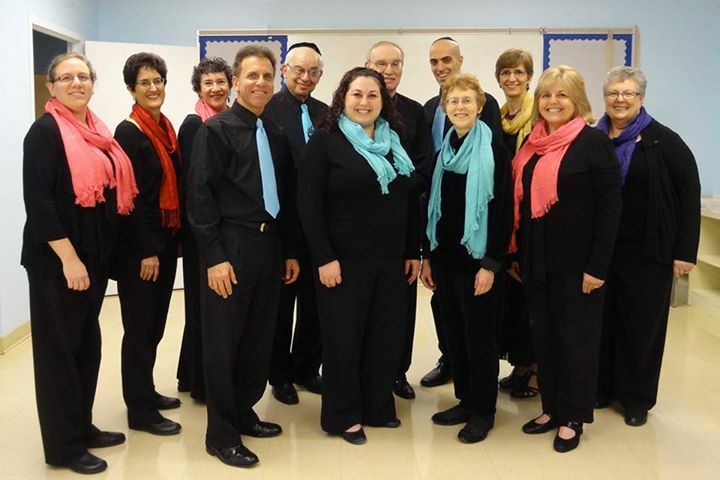 Chai Dynamics, an a cappella group, is a joint venture between Tikvat Israel and Shaare Torah. The singers rehearse weekly, perform regularly and gather socially. They perform music unaccompanied from traditional Jewish melodies to American and Israeli pop. New members of all musical levels are welcome. For more information visit Chai Dynamics or contact them by email. 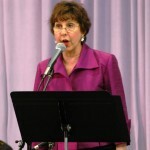 Kabbalat Shabbat With Instruments lovingly referred to as “KS with I” is a monthly Shabbat evening service accompanied by guitar, piano, bass and percussion held in the synagogue library. It includes spirited melodies, both traditional and new. There is a pre-service sponsored reception held forty five minutes before the 6:30 pm service. Get ready to sing, clap and soar. Boker Ohr Led by Cantor Helzner and Dan Black, this opening of Shabbat services includes spirited music accompanied by percussion. It is held in the rear of the sanctuary on special dates at 9:30 am. A regular Shabbat Shacharit without percussion continues in the sanctuary. Kumsitz and Stories in the Sukkah Cantor Helzner and Friends join in celebration of Sukkot by leading songs and telling inspirational stories in the Sukkah. Songs include both Jewish and Secular selections. Cantor’s Concert Each year, Cantor Helzner arranges for a stellar evening of Jewish music which raises money for the shul and builds community. Some past events have been programs focused on the wedding, Yiddish music, stories and song, Jewish and Gospel music, Sephardic and Mizrachi music, music and dance, music by American composers and Jewish themes in classical music. We would like to express how much we enjoyed attending the Shabbat with instruments last month. We found the music very uplifting and spiritual. It was a great way to usher in Shabbat and reconnect with the synagogue. We hadn’t been to services in a while and it was wonderful to be there and to feel a part of the Tikvat Israel community again. We are planning on making this service a regular part of our schedule. It gave us a great lift.